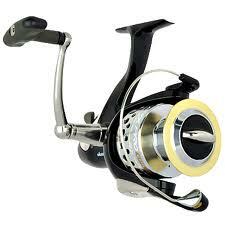 It is a high speed reel with 1 roller bearing and 5 ball bearings. It has line capacities of 285 meters of 10kg, 340 meters of 8 kilograms and 210 meters of 12 kg fishing line and gear ratio of 6:3:1. This entry was posted on Monday, April 16th, 2012 at 9:36 am	and is filed under Fishing Equipment, Fishing Reels, Spincast Reel, Spinning Reel, Spinning Reels. You can follow any responses to this entry through the RSS 2.0 feed. You can skip to the end and leave a response. Pinging is currently not allowed.